Broccoli nuggets perfect for those who eat a plant-based vegan diet, are dairy-free, or simply love a healthier snack/side dish. In this post-holiday detox phase I am trying to eat as much as possible plant based foods, giving my gut a bit of a break. 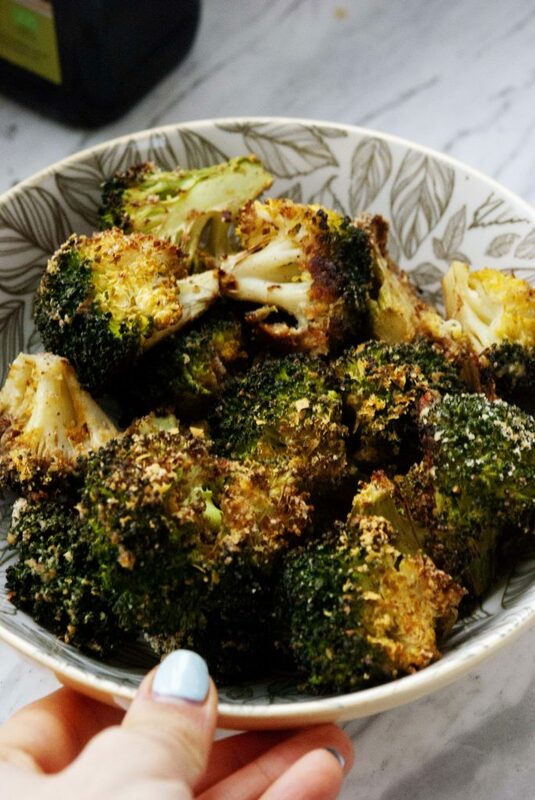 These crispy “cheesy” roasted broccoli are amazing!. 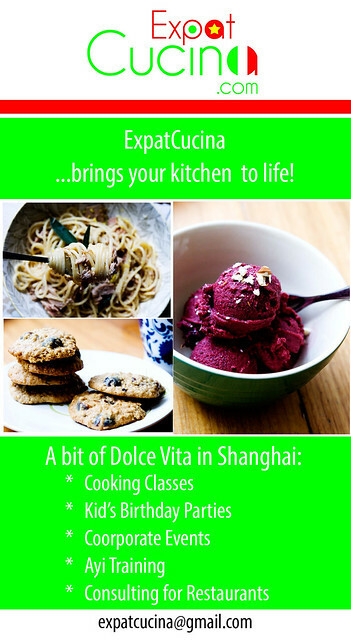 I make them using nutritional yeast, which not only gives them a bit of a cheesy flavour but it also add vitamins B. The almond flour adds extra flavour and also helps creating a nice crust. 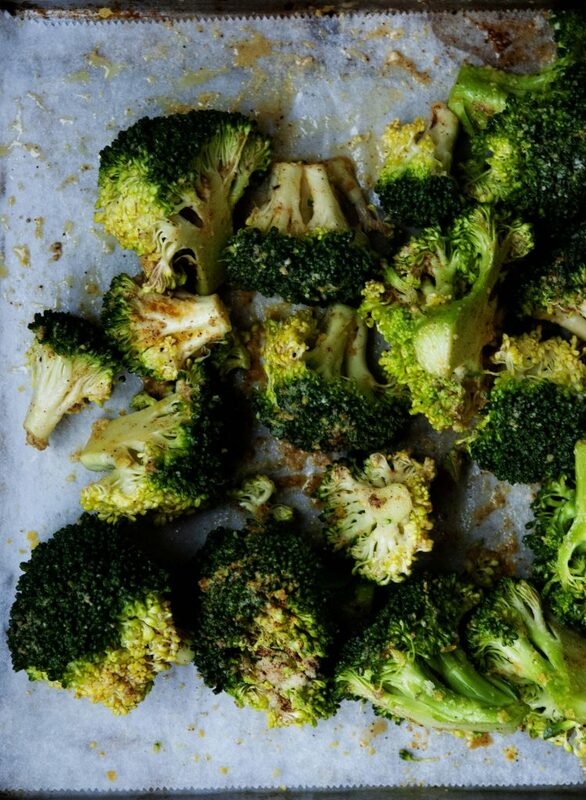 Chop your broccoli into florets and spread them on a baking sheet. 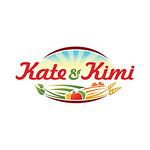 Drizzle with oil, nutritional yeast, almond flour, sea salt, and paprika. 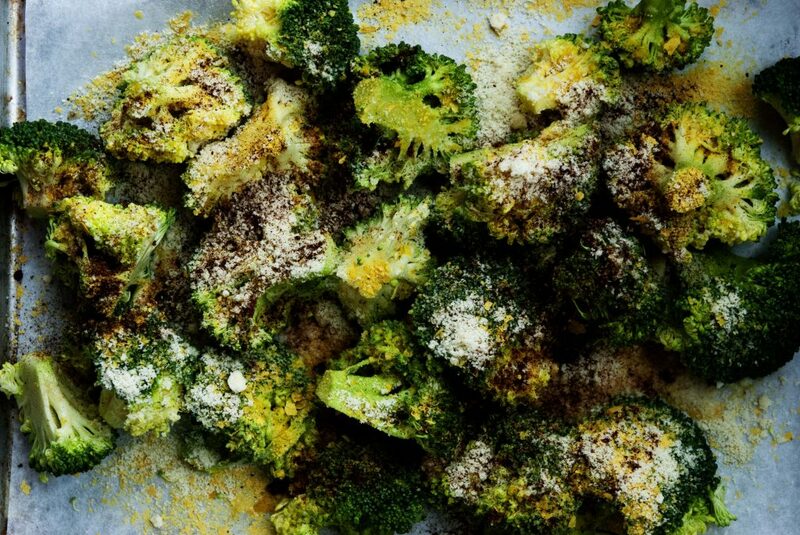 Mix everything together until the broccoli is well-coated. 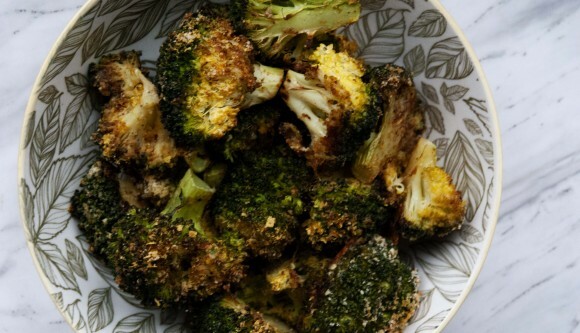 Bake in preheated oven 25 to 30 minutes, or until broccoli is golden-brown and crispy.